A piece in The Economist ironically describes Johnson & Johnson as the “market leader” for publicity problems, based on the company’s disastrous series of product recalls in recent years. 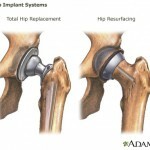 The piece prominently mentions Johnson & Johnson’s all-metal hip implants made by subsidiary DePuy Orthopaedics, which have generated more than 10,000 lawsuits based on their tendency to break down early and leave toxic metal debris in patients’ bodies. Johnson & Johnson recalled the implants in 2010. But as a result of the lawsuits, internal documents painting the company in a very bad light have been unsealed. One of those documents from 2008 indicates that the company was aware of the dangers the implants posed at least two years before the recall, yet continued to sell them anyway. Another document from 2011 puts the estimate of hip device failures within five years at nearly 40 percent. The Economist answers the question that many readers may have – how such dangerous devices made it onto the market in the first place. The reason, according to the piece, is that U.S. Food and Drug Administration policy allows medical devices to be sold based on their supposed similarity to devices already on the market. That loophole allows products to be sold without clinical testing, even if the devices on which they’re ostensibly based were themselves recalled for safety reasons. That was the case with Johnson & Johnson’s vaginal mesh implants. The devices, used to treat urinary incontinence and pelvic organ prolapse, have been the basis of thousands of lawsuits from women who claim the devices were faulty and caused injury. Common complaints include organ perforation, infection and chronic pain.